file recovery Damaged Partition - recover files from damaged partition, recover lost or deleted MS word excel, photo, music, video and all other files from damaged partition with EXFAT/FAT32/NTFS file system hard drive or external drive, usb drive. file recovery Damaged Partition, recover files from damaged partition on Windows 10/XP/7/8.1,recover photos,videos,word,excel from damaged partition. 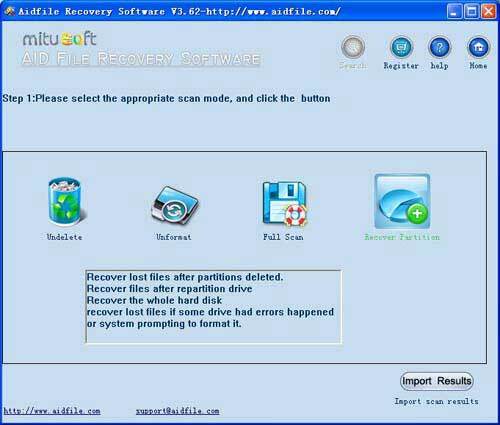 Aidfile paritition recovery software is the best tool to help you recover lost data from damaged parition,such as EXFAT,NTFS,FAT32. Do you want to know how can I help you?Please free download and trial this paritition recovery programs. Use "Undelete" mode to recover deleted files from damaged partition. Use "Unformat" mode to recover lost files after format damaged partition. 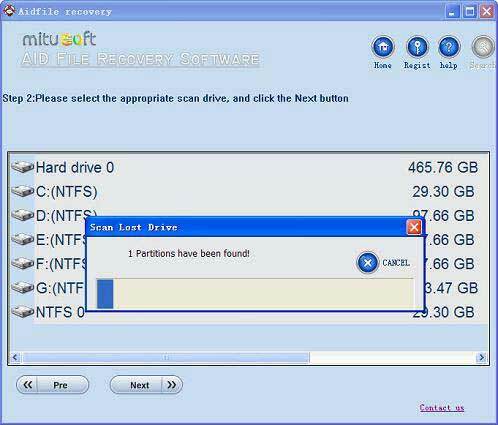 Use "Full Scan" mode to recover lost files if partitions show as "raw" or recover files which can not be found with "undelete" and "unformat" and "recover partition",recover files from raw partition,recover files of partitons which are not NTFS,nor exfat,nor fat32. With deep and full scan lost data from damaged partition. Recover lost MS office word excel document, photo, image, video, music, email, etc. Support EXFAT,FAT32, NTFS file systems. To recover files from damaged partitions, damaged partition recovery software is the right choice for data retrieving. Most computer users thought that hard drive is the most hard to crash or damaged device that compared with Windows operating systems. As we know, hard disk has its own file system, like NTFS and FAT32 in recent years, and FAT 16 in the past. These file system manages files that stored on hard disk, arranging them and giving the right location when Windows want to use. They are extremely hard to crash in common condition. 1, Sometimes, you wanna resize the partitons of hard drive. Enlarge system partition for exmple, this needs couples of minutes to do the job. And during the time, if the power turns off or the software that resizing your hard drive crashes, then the file system of your hard disk crashes as well. 2, Bad sectors. As the physical damage of hard disk, the bad sectors will act as virus. They will spread to everwhere in hard drive if you don't block them in time. Once there are too many bad sectors or the bad sectors appears at some particular places, like partition table or something like, hard drive can no longer read the partition and the data in this partition. And at this time, your partition is physically damaged. 3, Unexpected error. Computer systems, including operating system and file system, are weak. Not as strong as hardware, you can only use systems for 1 or 2 years, and then you need to reinstall them, but you can use the same hardware for more than 5 years. So systems are weak to meet the problem. And there are so many unexpected problem you will meet everyday in computer daily use. So once the partition is damaged, you can no longer access that partition to read or modify the files. They only way for you, if you want to retrieve them, is to find and install a damaged partition recovery software to retrieve files from damaged partition. And after recovery, you can fix the damaged partition by formatting or fixing. Aidfile recovery software is a good choice for you to recover files from damaged partition. Easy with the recovery wizard, and quick with couples of minutes. With the most advanced data recovery technology, you will have no worry about data loss due to damaged partition any more. Recover files from damaged partition.